Awhile back the Paleo Parents invited my family over for a cookout. My first thought was “YAY! We finally get to hang out and get to know each other better” and my second thought was “Oh crap! What do I bring to a 2 times Bestseller’s house?!? !” I needed something that would be tasty, that would be friendly for their restrictions, our restrictions, AND the guests attending. My goal in making new recipes has always been to make them enjoyable for even those who eat a Standard American Diet, not just for those with dietary restrictions and sensitivities. My kids are my best judges and recipes will not get posted if I receive a unanimous “thumbs down” – the problem was, I didn’t have time to pass the kid test before the cookout. I had to take a leap of faith and just go for it. I dug deep, what makes people happy? Bacon…check. Crispy fried dough…check. Sweet caramelized onions…check. Got it! Bacon, Caramelized Onion + Sweet Potato Perogies. The bad news? I spilled my sour cream dip in the car and sogged the perogies on the way to the cookout. The good news? They crisped right back up in the oven at the Paleo Parents‘ house and nothing was left to take home but an empty plate! Whew! Repeat until all the filling and/or dough is used – if you have extra dough, you can refrigerate it for a few days or freeze for later. If you have extra filling, eat it with a fork and feel happy you did. I have never worked with yuca, so this might just be the recipe that gets me to finally use it. I loved perogies growing up, and these look like such a fun replacement! Just discovered yucca this week. Am very excited that I have all of these ingredients, so I can make this tomorrow! “Probiotic capsules”??? Please tell more! I have a difficult time w/ most probiotic food – so sour! WOW. 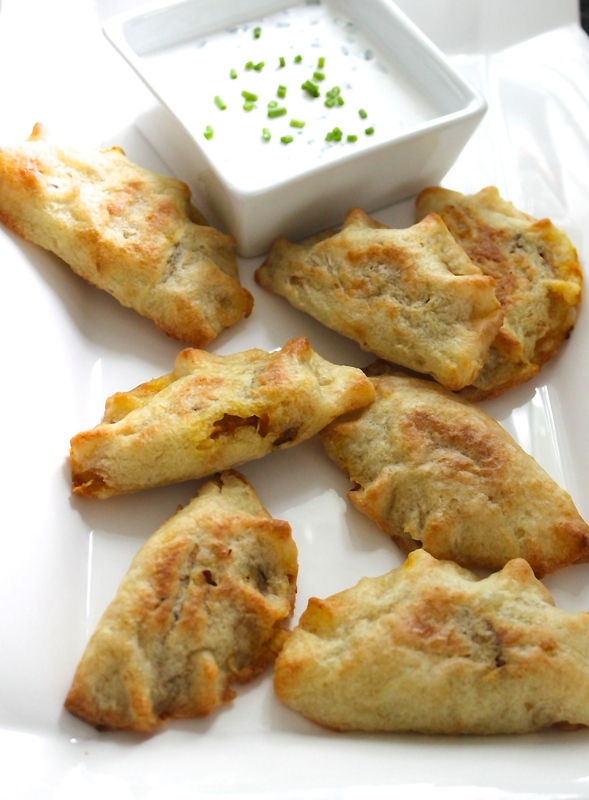 I just made these and while I was a bit intimidated working with yuca, your video made it seem so easy. I was so happy when I tried these and felt they were identical to the cheese and gluten loaded ones. 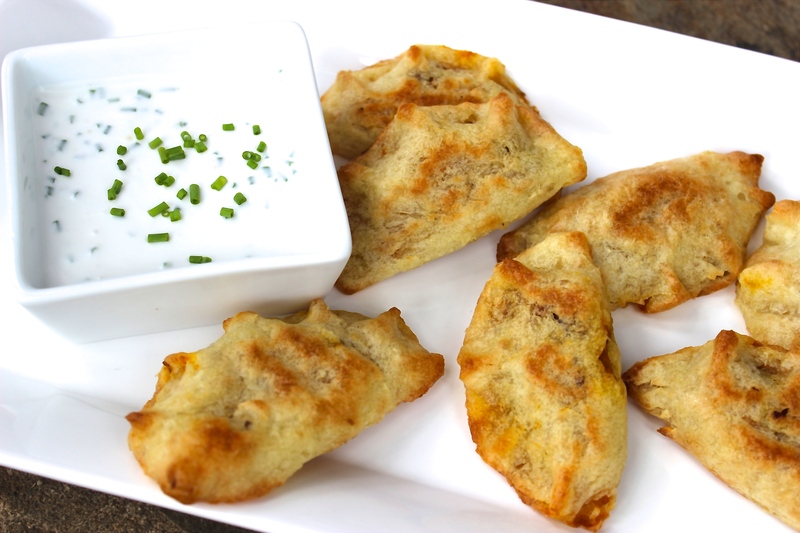 I have been craving perogies for weeks now and sadly haven’t had them for ages and since going on AIP and Paleo and realizing that grains and cheese are my enemy, I thought I had to say goodbye to them but your cleverness in putting this together has made me very happy to know I don’t have to give them up. Thank you!!!! Thank YOU for the feedback! I am so glad you enjoyed them! You can try using another dairy free milk but it will not be as thick. The coconut flavor is pretty well concealed by the acv. I found your website today and made these.. WOW, they were AMAZING! I froze half of them after baking. Thanks for the yuca dough! Oh Awesome! So glad to hear you liked them! Can the Yuca be replaced with anything else please? I do not have an exact sub, sorry. really want to try these but we don’t get yuka in australia. Ive googled it and I see that tapioca is made from Yuka, so I’m going to try tapioca flour. should work, yeah? Tapioca flour is a little bit different than yuca as tapioca is the starch. Think of it like potato starch vs potato flour. I have a few Australian readers who have found yuca in the frozen section – you could look there or ask your grocer to order it for you! I’m in the process of changing my diet to lose weight and also help my son lose weight. 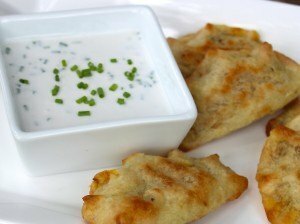 I adore pierogies and came across this recipe. My son is autistic and an extremely fussy eater. Ketchup is a food group in our house lol. I did not expect him to like these at all but he was willing to try a bite. When he asked for seconds and then thirds, I was thrilled!! Love your website and this recipe gets 5 stars for sure! Thanks so much! I made my own filling but made this dough recipe today and loved it! Is the dough really not supposed to have any salt in it, though? Your calzone recipe (which I made last week!) has 1 teaspoon of garlic salt in the dough and I think it’ll do that in the future with these. 🙂 Adding salt post-frying fixed them right up! Any idea how many this recipe should yield? I just ask because I’m guessing mine are way too thick and wanted to compare yields. For anyone else who wants to use pureed, frozen yuca – I think the trick is to drain it in a tea towel until it’s no longer super runny! I used 914 grams, wrung out the water until I had about 620 grams, and that was enough for 2/3 of the recipe (so 2 cups). I guess it was still too watery as I had to add 2 tablespoons of coconut flour and a little arrowroot starch. What about using cassava flour instead of the yuca? Be sure to read my “Cassava Flour Dough” post! Just read your pierogi recipe & very excited to try as my husband is Polish. Just wondering why work with the yuca mash while it’s still warm? Why not wait until it’s coold then mix with the other ingredients and spread out? When the dough is cold it can sometimes be less malleable and begin to crack. It’s up to you though if you have a preference how to work with it! You were right & these were great! So happy to have sausage & pierogi night back on the menu! Thanks Jenny! I’m so glad!